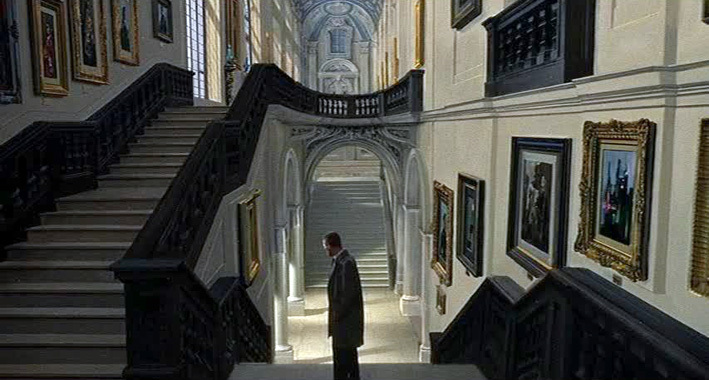 Much of the architecture on show in films doesn’t actually exist, as a location or even a set. Instead, buildings are conjured through the alchemy of models, matte paintings, photographs or computer-generated imagery. Miniatures have been used to represent the unbuilt or unbuildable for many decades, either on their own or in combination with live action. Fritz Lang deployed both in his epic Metropolis, creating a dazzling vision of a future city in which aircraft and cars filled canyon-like streets between vast towers. Lang used the ingenious Schüfftan process, where the camera films through an angled mirror with part of its reflective coating removed, to insert actors into the models. Simply placing a miniature in front of the camera whilst it is filming a real scene is also highly effective; the encrustation within the atmosphere processing station in Aliens was achieved in this way, whilst the vertiginous bridge across a deep ravine in The Living Daylights is in fact a model carefully aligned with the top of the real bridge, which only crossed a shallow ditch. The Cohen brothers spent half a million dollars in today’s terms on a dozen very-large-scale (one inch to two feet) miniatures of selected New York skyscrapers for The Hudsucker Proxy. They were so effective that they were subsequently re-used in adapted form in Baby’s Day Out and The Shadow. 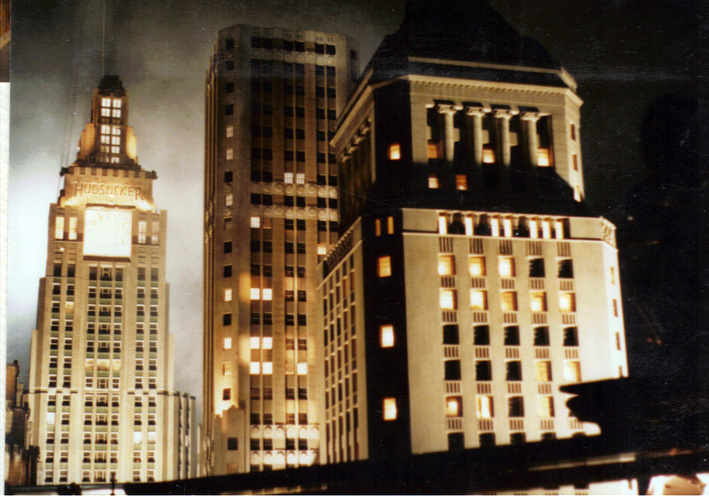 Only one model was needed to bring the glass skyscraper that becomes The Towering Inferno to the screen, but at over 70 feet high, itself equivalent to a five or six storey building, it was one of the largest ever constructed and had to be secured with guy ropes when not in use. 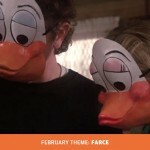 Hitchcock’s delight in playing with artificiality has featured in previous instalments of Beyond the Frame, but there is much more to discover. The United Nations building as seen in North By North West comprises a series of paintings. 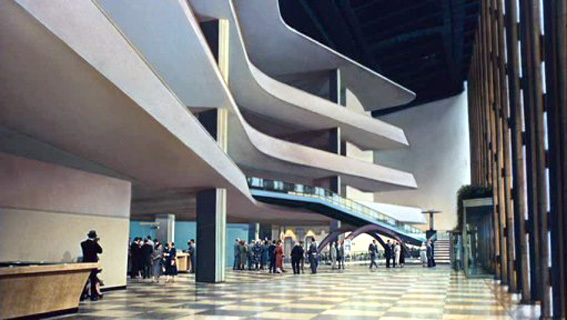 Exteriors are matte paintings on glass, with interiors achieved through vast scenic backdrops. Both are dramatic but somewhat theatrical in their execution, subtly contributing to the nightmarish nature of Roger Thornhill’s situation. 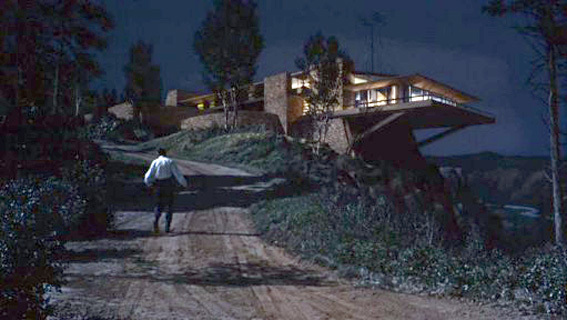 The night-time exterior of the Vandamm house, though, is realised through exquisitely subtle matte paintings so convincing that many who see the film assume it to be a real structure. 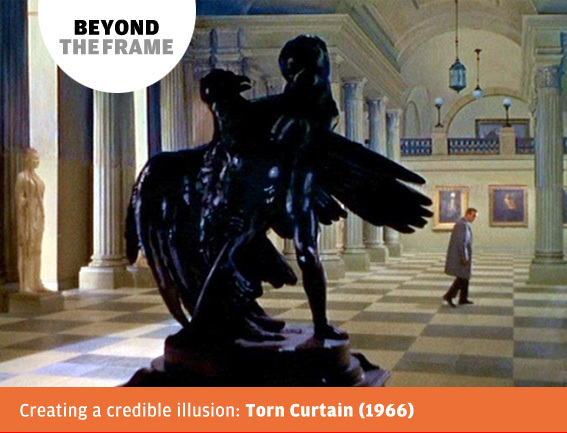 The director’s most audacious simulation of architecture occurs in Cold War thriller Torn Curtain when Paul Newman is shadowed whilst walking into and around one of Berlin’s great museums, the Alte Nationalegalerie. Opened in 1876, Friedrich August Stüler’s great neo-Classical temple stood in what was then East Berlin, beyond the reach of a Hollywood film production. 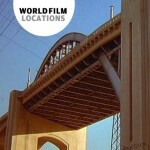 Instead of seeking a substitute location or building elaborate sets, however, Hitchcock took an extraordinarily daring step. Emboldened by success on a smaller scale twenty years previously with The Paradine Case, he filmed the entire two-minute sequence using only matte paintings to replicate the museum. The actors were shot in a studio against minimal sets – often simply a decorated floor and a piece of wall – and optically composited into the paintings. The surprisingly powerful impact that the architecture of the suburban street can have on a film’s mood was explored in Beyond the Frame #2. This is confirmed in a key scene from David Fincher’s Zodiac. In 1960s San Francisco, Detectives Toschi and Armstrong arrive at a crime scene, a crossroads in a quiet suburb late at night. The neighbourhood is cast in a sickly green glow. A taxi stands at the kerb, its driver lying dead within. A hand-held camera follows as they walk the area, point at house windows and converse with colleagues. And yet only a very small portion of this haunting scene existed in real life or was filmed at the real location; the majority was shot on a studio backlot against bluescreen, with the evening sky, street lighting and period-accurate buildings and vehicles all generated by computer. 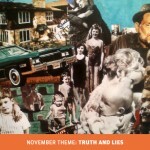 An architectural lie reveals the truth. Chris Rogers, Chris Rogers writes on architecture and visual culture, including film, television and design. His first book, The Power of Process – the architecture of Michael Pearson, was published in 2010 and he recently wrote the information pack for a new school under construction in the London 2012 Olympic Park for its architects. Chris has contributed to The Architects' Journal and files reviews for Art of England magazine. Chris is trying to find time to start his second book so in the meantime his work, including pieces on John McTiernan, Michael Mann and Joe Ahearne, can be found on his website.